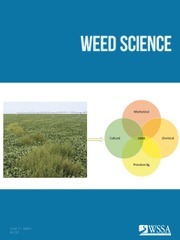 » Weeds in the News » Does Agriculture Need Reset Key on Herbicides? Does Agriculture Need Reset Key on Herbicides? When is agriculture going to hit the reboot key? Our efforts to keep herbicides on target are not working. Ten years ago when glyphosate began to fail on Palmer amaranth and LibertyLink soybeans were coming back off the shelf, a major seed company agronomist (who is an excellent weed scientist) proudly told me “we are bypassing LibertyLink and going straight to the auxin era.” I thought at the time that I wished I could share his enthusiasm about the auxin era. My experience with auxin herbicides over 30 years (at the time) told me that trying to spray large acreages in the summer would not be easy. I recently had a university weed scientist tell me, “I don’t feel like a weed scientist anymore — I’m just a drift walker.” I share those sentiments and this is nuts! I get far more calls about off-target herbicides than I do weed control calls, and almost every field visit request is to look at a damaged field. In most cases there isn’t a lot I can do other than just be sympathetic and try to listen. Off-target herbicide issues are creating tremendous discord in communities — often among people who have been lifelong friends and neighbors. Nobody understands the need for new weed control technology any better than I do. The auxin herbicides like dicamba, 2,4-D and now Loyant are very powerful herbicides for controlling weeds, which is a good thing. 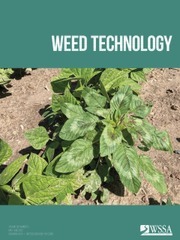 However, trying to use them on large acreages in the summer, just like they were any other herbicide, is difficult and in some cases impossible. Because of major off-target issues, regardless of the cause, the dicamba technology has been the most divisive in my career. It remains to be seen if 2,4-D can be used in close proximity to cotton, but my gut tells me probably not. I was recently told my last article on Loyant was prophetic, but I could see it coming for two years. 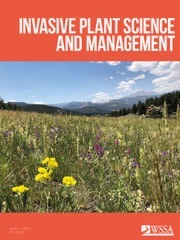 Given the characteristics of the herbicide and what we already knew about soybean sensitivity along with what it is like trying to apply rice herbicides with aircraft in the real world, it was entirely predictable. The right kind of real world testing wasn’t done nor was the necessary education. Then when the wheels come off, it is always a label violation and somebody else’s fault. I don’t know what the reset button looks like, but we cannot continue down the path we are going. Companies are going to have to assume some responsibility as we continue to roll out herbicides that have tremendous upside but also very predictable downside. There will always be enough off-target issues simply due to honest mistakes and judgment errors. However, there is no excuse for going into those that are predictable and then trying to act like everything is fine. Everyone is looking to someone else to solve the problem. If agriculture cannot fix the problem, someone will fix it for us. I never dreamed that in my career I would see the magnitude of off-target herbicide issues, the adverse impact they are having and at the same time folks running around trying to act like everything is OK. The original article can be accessed here.